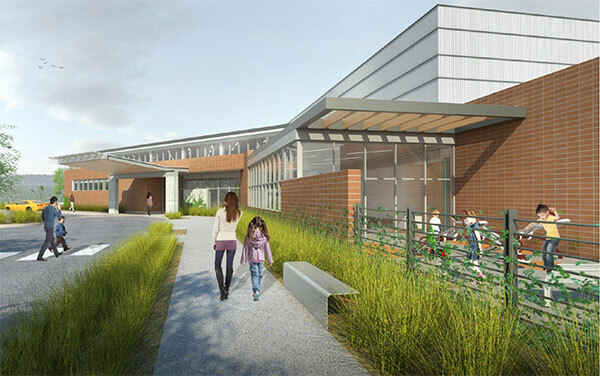 SPOKANE, Wash. – The Spokane Teaching Health Center’s University District Health Clinic came closer to becoming a reality this morning with approval of schematic designs by the Washington State University Board of Regents. STHC is a consortium of WSU, Providence Health Care and Empire Health Foundation. The clinic will serve as the teaching health center for graduate medical education, or residencies, in Spokane and provide primary health care services to the community at low or no cost. Located on the WSU Spokane campus, the clinic will also provide inter-professional training for students on the Spokane campus. Construction is expected to begin in early 2015. The board also approved schematic design documents for renovation of the third floor of the Washington Building on the Pullman campus to allow for the co-location of Student Health Services, Behavioral Health Services and Counseling Services from the Lighty Student Services building. Relocation will allow for better coordination of care by delivering all of the health and wellness services from one location. The student-fee-funded renovation project is a priority for WSU and supports growing student enrollment as well as faculty and staff. Board members also approved editorial changes to the WSU Student Code of Conduct. “Regent Niva has been a strong and persuasive advocate for higher education…and the Board of Regents of Washington State University, speaking on behalf of the entire university community, acknowledge with deep gratitude and profound appreciation the contributions of Constance M. Niva,” the resolution states. • Heard a report and discussed WSU’s legislative agenda for the 2015 session. Top priorities include support for a separately accredited medical school and for a new academic building at WSU North Puget Sound in Everett. • Heard a proposal for construction of a new Multicultural Center on the Pullman campus. The board will vote on the $16 million project at its January meeting. • Received an update on the $1 billion Campaign for Washington State University. To date, more than 192,000 donors have raised more than $953.6 million. The campaign closes June 30, 2015. • Heard a report on efforts to create a technology fee that students will pay to support and enhance technological services, including expanded wireless access and online printing.